Did you put Corporate Social Responsibility (CSR) on your agenda but experienced that it’s time consuming to get things done? Let us help you! First of all, we will try to make the connection between the teambuilding day and your CSR target. 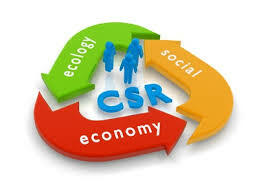 This means that we look into your CSR goals and see how we can realize these trough a teambuilding event. Can you imagine how great it feels if your team helps out in making a beautiful, but neglected and dirty nature area clean and accessible again? Or how wonderful it feels to recover the basic needs in a neighborhood such as a playing garden for kids? With the teambuilding program as a vehicle, you will accomplish clearly visible results the same day! And at the same time, you work on trust, communication and leadership skills which will improve your team performance. We truly believe that community engagement can result in higher employee engagement! And if there is no chance to do this with your team, we can of course make sure your financial support gets at the right place. 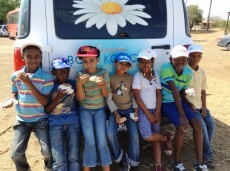 How rewarding will it be to support education on agriculture for kids? Or realize a weekly after school sport program for kids whose parents cannot afford this? There are many different ways to help and we can help you in making it easy for all involved. Here are some examples, but of course we like to hear your own ideas too!